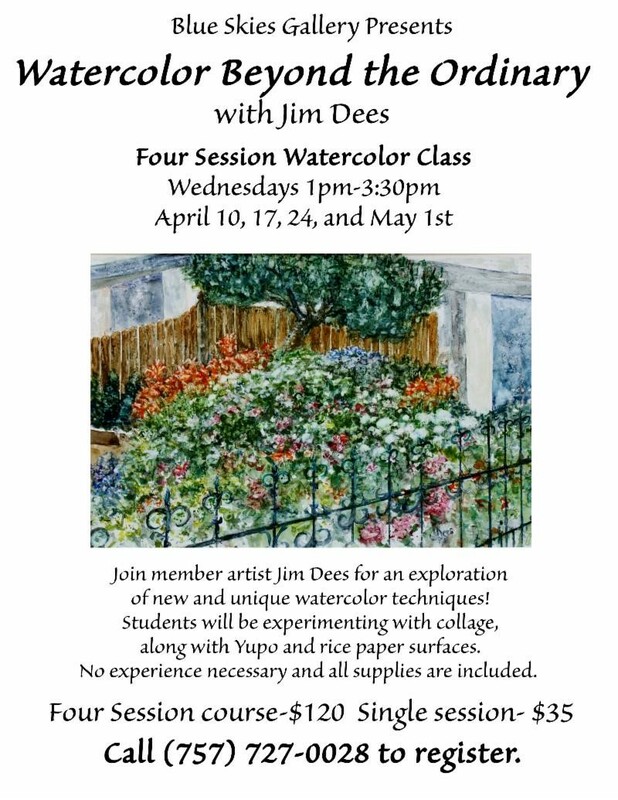 Join member artist Jim Dees for an exploration of new and unique watercolor technicques! Students will be experimenting with collage, along with Yupo and rice paper surfaces. No experience necessary and all supplies are included. Call 757-727-0028 to register!